"The hottest DJ in New Orleans back in 1960 was a cat named Larry McKinley. Many's the R&B classic he "broke" on his show and sent on it's way to the top of the national charts (not the least of which was Ray Charles' What'd I Say). It was a stroke of brilliance when vinyl distributor Joe Banashak asked him to be a partner in his new label, MINIT records. Talk about air time! In January of 1960, McKinley arranged to hold an open audition at WYLD studios as a way of scouting talent for the new company. That one night resulted in the signing of Benny Spellman, Aaron Neville, Allen Orange and Jessie Hill (Irma Thomas and Joe Tex also tried out but were still under contract to other labels). Allen Orange brought along a piano player to accompany him, one Allen Toussaint. He ended up playing behind most of the other folks who had shown up, and so impressed McKinley and Banashak that they asked him to be the new label's producer and arranger." There you have it. The inimitable Allen Toussaint got his start at that audition, we've already established that. What has, in my opinion, often been overlooked, is the fact that he auditioned himself as one half of a duo named Allen & Allen. Please join with me now, oh mighty detectives, in my quest to find out all we can about that other Allen, Allen Orange. Although certainly not the greatest of songs, it mines the same Crescent City territory that folks like Huey Smith, Jessie Hill, Clarence Henry and Frankie Ford did with varying success. I'm not sure what's up with those sound effects, but taken in context with songs like Mother-In-Law (Minit 623) and Lipstick Traces (Minit 644), it's interesting to note the evolution of those cool baritone background vocals. N. Neville, as I'm sure you know, was Toussaint's mother, and he began using that as his 'nom de plume' around then for whatever reason. Once again, you can hear the origins of 'Mother-In-Law' in there... dig those strings! According to Soulful Kinda Music, this single was also released with an alternate B side, 'Lighted Windows'. Anybody have it? His new songwriting partner here is 'E. Johnson'... none other than the great Earl King. I'm guessing that this record dates from the period that Allen Toussaint was in the Army, and Earl was busy doing independent production work for local labels (think Big Chief on Watch). Come to think of it, I bet this is a Wardell Quezergue arrangement we have here, judging by those saxes. A great record, man. King co-wrote the A side (Miss Nosey) as well but, just like Allen's other singles, this one died on the vine. Now, here's where things begin to get interesting. "...By 1964 Shelton was signed to J.R. Enterprises, a new production company owned by WLAC disc jockey John 'John R' Richbourg. Shelton was subsequently placed with Sims Records, owned by Russell Sims, with whom Richbourg shared an office. "A showcase for Shelton's high, wailing tenor, the blues ballad 'Strain On My Heart' reached #25 in Billboard in 1965, and gave Shelton his first and biggest national chart success. Veteran New Orleans artist Allen Orange (a protégé of Allen Toussaint) wrote 'Strain On My Heart' and provided Richbourg's stable of artists with abundant material after he relocated to Nashville." There you go, detectives, a tale of two cities, and an absolute trip of a connection between them. We'll be delving deeper into the story in the days ahead... stay tuned. "Richbourg apparently took Orange under his wing when he arrived virtually penniless from Louisiana. The two cemented their working relationship on Sims with Roscoe Shelton." Thank you, Cies, but as you said, there's "still no indication why he moved from New Orleans to Nashville." 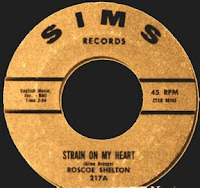 "Shelton's Strain On My Heart (Sims 217) gave Richbourg his first national R&B chart success in February 1965 when the single reached the #25 spot. Significantly, the song, like others by Shelton on Sims, was written by Allen Orange who would become a crucial source of repertoire for subsequent productions via J.R. Enterprises. When the Sound Stage 7 situation came along later that year, Richbourg would simply switch Shelton over to his new affiliation." Wow. I was blown away. Since then, Bob and I have been involved in an incredibly interesting conversation that's taken place on the phone, via e-mail, through a wealth of material he's supplied me with in the mail, and finally culminating in a whirlwind trip to Nashville last month to meet with him. It's been positively amazing, boys and girls, and we'll talk more about that journey, and the events leading up to it, down the line. In the meantime, be sure to take a look at the multi-part post about Bob and Sound Stage 7 that's running concurrently over on The B Side. In addition to being a veritable font of information, he's also become a great friend. Thanks for everything, Bob! "V C Blues was cut on an Ampex 3 track analog tape recorder at the Monument Studio in downtown Nashville, where they cut the Roy Orbison hits. And it was me on piano, David Briggs, organ, Jerry Carrigan, drums, Norbert Putnam, bass, Chip Young and Billy Sanford, guitars. Allen was standing about 15' in front of my grand piano, with 3 wooden baffles (with glass windows) placed around him, and sang it live. I could see him clearly and as we were writing partners at the time, I kept my eyes on him. I don't think we went back and re-did the vocals, I think he was recorded live with the rythym section and as I recall, live horns. Which was the way we also cut Joe Simon at that time, we didn't bring the horns or voices back in later, we did it live; when Cliff Parman counted it off, everybody started playing and singing all at once, which was a thrill among thrills. I can still see Allen cutting V C Blues, in my mind's eye, straining to hit the high notes..."
Like I said, folks, he's an incredible font of information! One of those great "'Nam" songs, it was co-written by 'Mike Terry'. Wilson goes on to explain that this is not the Detroit Mike Terry (arranger and baritone sax man at both Motown and Golden World), but a 'pen name' for Nashville arranger Cliff Parman, who was 'conducting' the session. Allen's really showing his Louisiana roots on this one... it's got that Swamp Pop feel to it, doesn't it? I'm lovin' the Billy Sanford lead guitar, and Parman's horn charts that somehow put a big city spin on that whole bayou sound. Written by Orange himself, it's a hidden gem, and one of the coolest records in the Sound Stage 7 catalogue. "Good topic, Red. AO has been invovled in a lot of R&B/soul music over the years; and I always wondered the extent of it and what happened to him. I'd keep running across his name as producer or songwriter on various sides I'd find. Anyway, you've jumped headlong into another one and made some good contacts already. (aka "I'm Gonna Keep On Trying" ?) Not sure about this one - haven't seen writers credits on actual track, but this is only E. Holmes song with 'keep on trying' in the title." Excellent work, Dan! I wasn't aware that Orange had already started writing songs for other artists before he left New Orleans... and I certainly never realized that he wrote It Will Stand, one of my all time faves!! Very cool, indeed! One question jumps out at me; we know that 'E. Johnson' is Earl King, and that 'D. Johnson' usually means Eddie Bo, but who, pray tell, is 'S.Johnson'? Detectives? "Recorded at Bradley's Barn, Piano/Organ: Bob Wilson, Bass: Billy Cox, Guitar: Chip Young, Arranger: Aaron Varnell, Harmony Voices: Sam Baker and Roscoe Shelton. 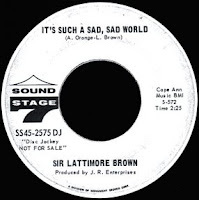 Lattimore, Sam and Roscoe overdubbed the vocals simultaneously, with one microphone, standing with their arms around each other like three brothers. Their voices had a beautiful, beautiful blend. The Impressions had nothing on these three guys!" Imagine? Just a great, great song. Recorded at the same Bradley's Barn session as it's B side (above), it was co-written with Brown and arranger Aaron Varnell. This smokin' dance party classic just kills me. I'm lovin' that extra syllable there in Vib-a-rate... yeah, yeah baby! 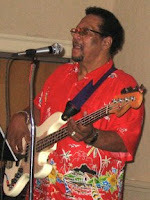 Check out Billy Cox working that bass guitar! 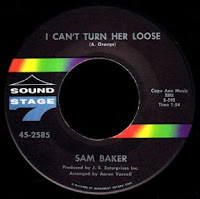 Here's another high energy number from one of Sound Stage 7's mainstays, Sam Baker. According to the excellent article over at Sir Shambling's Deep Soul Heaven; "...Baker joined Sound Stage 7 for the most settled and artistically satisfying period of his life. 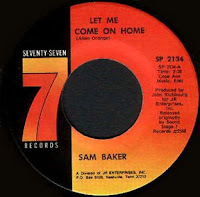 Apart from Joe Simon, Baker had more 45s issued by John Richbourg on his SS7 label than any other artist – a tribute to both to his talent and Richbourg’s enduring good taste." I hear that. One of the last sides to be released before the move to Memphis (you can tell because Aaron Varnell is still listed as the arranger here, while the A side of this single was arranged by Dan Penn), it has the same kind of good time vibe as the Brown single. I'm diggin' Wilson's piano here, and how cool is Baker's 'BLLLLLRRRRR' thing? 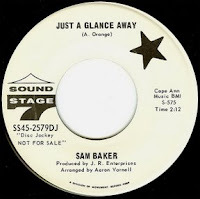 Most of Sam's output for the label (and the songs Orange composed for him) were more 'deep'. This one just rocks! "Just a note: I don't have the Minit original. This is a re-issue from a few years later, after Liberty bought Imperial, which had taken over Minit. It's one of their Golden Series of re-released hits. "Over You" charted #21 R&B in 1960." Well thanks, Dan. We'll take what we can get! I'm lovin the lyrics here, huh? "...all your folks will be dressed in black, ride a long black cadillac. Yeah baby they'll be puttin' you away, the funeral home will have the business that day." Sweet. This was evidently Aaron Neville's first recording! drew-Blan is rare vinyl to come by. I know a guy down here who is a big time dealer/collector (tens of thousands of records at a time). He showed me a drew-Blan last time I was at his place and said it was one of the few he had ever seen..." wow. 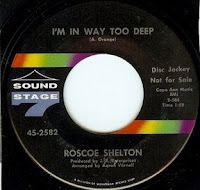 Well, ol' Colin Dilnot has joined us for case five, posting Roscoe Shelton's I'm In Way Too Deep (SS7 2582) over at his own excellent blog, In Dangerous Rhythm. Composed by Orange and arranged by Varnell, it's another keeper. Thank you Colin! Wilson: "Me on piano, Karl Himmel on Drums and Buttrey on Congas (now that was cool), Drummond on bass and on the guitars, thats Mac Gayden and Troy Seals. "The horn arrangement was by a guy named Terry Burnside, and this was one of the very few arrangements Terry did in Nashville. Terry and I arranged the rhthym track and Terry did the horns and strings, Allen did the voices. Terry also played tenor sax on the horn track... he was from Cincinatti and had done arranging for King Records. He retired early from the business after not being able to really break-in in Nashville..."
It sounds pretty good to me! 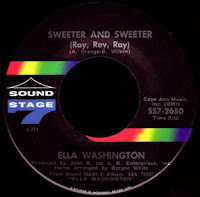 Ella Washington had come up out of Florida and taken Harlan Howard's He Called Me Baby into the R&B top 40 for Sound Stage 7 in early 1969. Her only chart appearance, it had been recorded at American in Memphis. When John R made the move to Music City, one of his first priorities was to record an album on her. Bringing together Orange, Wilson, Bergen White, Troy Seals, Karl Himmel, and the 'Music City Four', John R produced what many consider to be a soul masterpiece. This hot cut from the album was used as the B side of the deep Doing The Best I Can in late 1969. I just love that percolatin' organ! I wonder who Ray was? Allen Orange wrote more songs with Bob Wilson than with anyone else. Both of these 45s we have here today illustrate why... great stuff, don't you think? It really doesn't get much better than this now, does it? 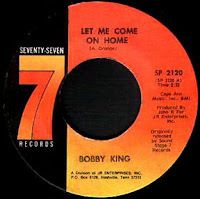 Recorded at Bradley's Barn back in the 1967 King Casuals period, Bob Wilson considers it 'the best song Allen ever wrote, and one of the best Sound Stage 7 cuts'. I'd have to agree, man, this is the real deal. The flip isn't too shabby either, believe me. It's got that kind of 'country soul' thing going on that puts me in mind of Joe Tex or Solomon Burke. 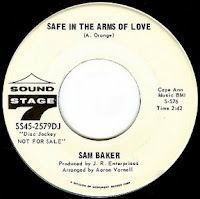 Another one of those 'hidden gems' of Nashville Soul, how great is Sam Baker's voice here? Thank You Colin for sharing this phenomenal music with us. 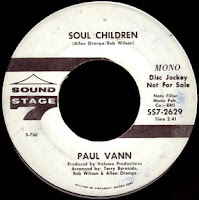 Moving ahead to the 1969 Music City sessions that gave us 'Soul Children', this next number was first released as the B side of that record. 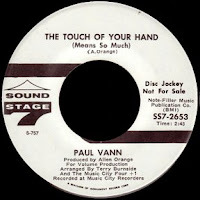 The copy we have here hails from the following year, when it was used as the flip of Hello My Lover (Wherever You Are), Paul Vann's take on the rocking and rollicking romp that Allen Toussaint had written for Ernie K Doe while Orange was still at Minit in New Orleans. Then something happened down there. Something that turned Orange's attention away from his writing, pretty much permanently. We'll talk more about that next time around. 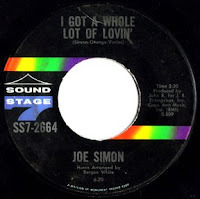 "Just before we (Sound Stage 7 Records) were losing Joe Simon to the Rifkin Brothers at Spring Records, John R. had signed Jamo Thomas as an artist. Jamo was a singer, but also worked successfully as a record promotion man for several small labels. Like Al Bell (STAX), he had a super smooth gift of gab and like Al Bell, he also, could 'sell snow to eskimos'. "Allen, kinda fell in with this dude Jamo when we were cutting his records, and the next thing I knew, Allen was working on the side as a record promotion man also, something that I think Jamo hooked him up with. Now, Jamo was a born marketeer, and Allen soon took on those marketing mannerisms of building up excitement through lots of hype and BS. At that time, Allen was not working for SS7 as a promotion man and as he started working for some other small label, word started getting around that he was getting good results, and Allen was 'all over it' because he was getting a steady pay check and an expense account to wine and dine the disc jockeys..." Thank You, Bob. Now let's back up a little to February of 2006 when detective Marc Demuynck pointed out a 1997 article in Juke Blues #37 on the Southern Soul Group. 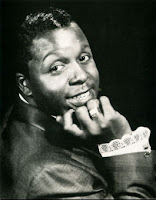 The article, written by Jeff Kuhn, contains two of the three known photos of Allen Orange (the other being on the back of Ella Washington's 1969 LP). It's about Geater Davis. Vernon Davis, nicknamed 'Geater' in the Army (anybody have any clue what Geater, or for that matter, Geator means?) came up in East Texas influenced by folks like T Bone Walker and Bobby Bland. 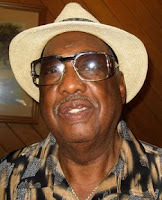 He had settled in Shreveport, Louisiana after his release from the service, and found work with an outfit called Elgie Brown and the Soul Searchers. In 1968, he was recruited by the great Ted Taylor to go out on the road with him. This was where he really 'cut his teeth' as a professional musician. 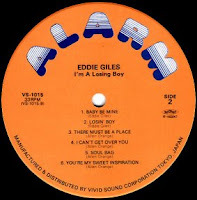 Upon his return, he hooked up with Eddie Giles, whose band (Eddie G and the Jive Five) would take up residency at the Fountain Lounge on the 'Bossier Strip'. It was there that he got to know Reuben Bell, whose 'Beltones' were the house band at Kim's, further down the strip. 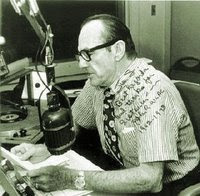 In 1970, Allen Orange came to town on a promotional trip to schmooze with local radio personality B.B. ('Bird Brain') Davis (pictured at right). He told Davis that he was thinking about starting up his own record label, and was on the lookout for local talent. It was B.B. that steered him in the direction of the Bossier Strip, Geater, and Reuben. A guitarist in Bell's band named Jerry Beach had written a song that Davis recorded a demo on at the tail end of a session at Stewart Madison's fledgling Sound City studio. 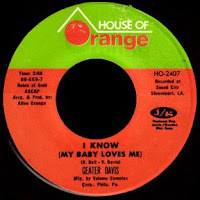 This demo (which would later go on to be developed into Albert King's signature song by Mark Lee and the boys at STAX Studio C) of I'll Play The Blues For You so impressed Orange that he offered them both a contract, and so (as our anonymous commenter pointed out) the House Of Orange label was born. Allen asked them to try to write some material, and set up a session at the Boutwell Studio in Birmingham, Alabama a couple of weeks down the line. Davis had never written before, but Bell 'broke him in', and when they got there they were ready. Once again, Orange was impressed, telling them "I've been fooling around looking for records, and y'all have already got a bagful of hit records!" Produced with somebody named Bill Crump (who, try as I may, I've been unable to find any info on), this haunting slow blues was the perfect vehicle for Davis' style. Geater told Living Blues "John R told Allen he'd help with the record... spotlighted it on those [mail order] packages they used to run on WLAC, and John played the record, played it for about two weeks... Allen took it to another friend of his [fabled Crescent City dee-jay] Shelley Pope... and the record broke in New Orleans... I'm telling you, I was so excited, I didn't know what to do." Yes, Sweet Woman's Love was a huge regional hit down south, even breaking into the Billboard R&B top 50 in December of 1970. 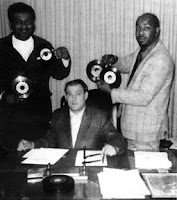 As often happened with small independent labels, Orange had trouble keeping up with the demand for the record (reportedly selling them out of the trunk of his car), and went looking for a distribution deal. Although the details are a little sketchy, he apparently turned to Johnny Vincent at this point who was operating a company called Santo Records that listed its address as the 'Hotel King Cotton' in Memphis, Tennessee. The photo at right was taken at the King Cotton and shows Allen standing to the left of Vincent with someone named Melvin Cohea on his right. Anybody familiar with him? Here's the B side of that record. I love the horns on here, and the cool blues guitar. I wonder if that's Davis playing? I don't know anything about the Birmingham studio it was recorded in... you think they had their own 'rhythm section'? 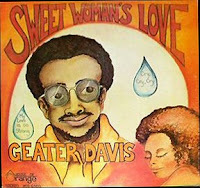 Flush with the success of Geater's first single, Allen arranged for him to record material to fill out an album, also called 'Sweet Woman's Love' (HO LP 6000), at the San American Studio in Little Rock, Arkansas in 1971. Davis' next two singles, My Love Is So Strong For You (HO 2402) and For Your Precious Love (HO 2405), would be pulled from the album. That's our man Orange pictured at right with Joe Lee, the engineer at San American. Do any of you detectives out there own the LP? Thanks, podjo! 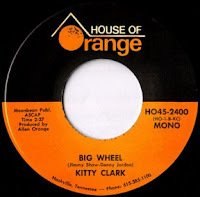 Any of you deep-crated gumshoes out there have the Kitty Clark, Reuben Bell or Don Varner singles? 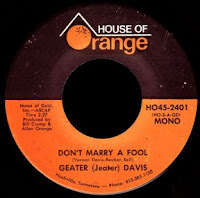 For whatever reason (my guess is that Orange had simply overextended himself, and owed too many people money), the Juke Blues article says that at this point "House Of Orange now seemed on the verge of collapse, and Davis feared that his career would collapse with it. 'By that time I was like a falling bridge,' Davis said, 'but John R stopped me before I got all the way down'." First off, I'd like to thank ol' pal Jason Stone, aka The Stepfather Of Soul, for his gracious acknowkledgement of what we're doing over here, as well as for putting up Sam Baker's incredible It's All Over. Very cool! Around the same time that Allen Orange had started up his own label, John Richbourg decided to do the same. I'm not sure if things had somehow changed with Fred Foster and Monument's backing of Sound Stage 7, or what, but apparently both men felt there was room for more 'product'. Bob Wilson: "At that time, John R didn't really have a good promotion man of his own, and used the Monument Records (the parent company of SS7) promotion men and sometimes got various independents to help in certain markets, like NYC, LA, etc. 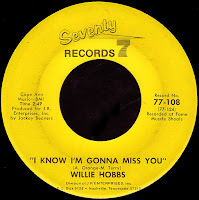 But, soon John wanted Allen to do that same type promotion for him..."
One of the first artists John R recorded for his new Seventy Seven label was Willie Hobbs. 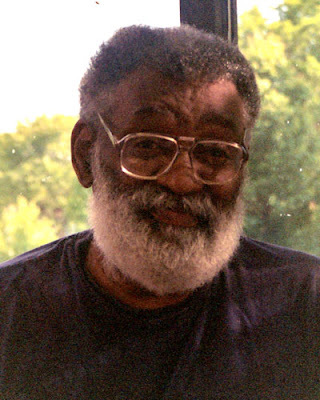 You can read more about Willie over at John Ridley's always excellent Deep Soul Heaven. 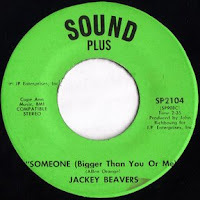 Hobbs' producer for the label was Jackey Beavers, who had left his Motown roots behind (as our man Bob Wilson had a few years earlier) and signed with Sound Stage 7 in 1969. 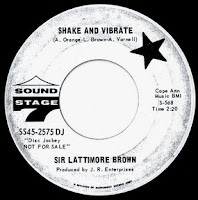 With John R apparently still looking out for Allen whenever he could, this 1971 B side is a cover of a song Orange wrote with Cliff Parman (aka M. Terry) for Lattimore Brown back in 1966. Recorded at Fame down in Muscle Shoals, it's a sweet version of a great song... although I do miss those Roscoe Shelton/Sam Baker harmonies. Hobbs is singing his heart out here, with the 'Fame Gang' punching out another great soul tune. which was also recorded at Fame. 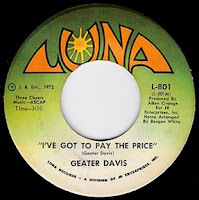 Co-written with old pal Reuben Bell and released in July of 1973, this searing indictment of Davis' woman spent seven weeks on Billboard's R&B chart, climbing to #64. Apparently recorded at Music City, I wonder who's smokin' that blues guitar? (Living Blues says it's not Davis... my guess is Fenton Robinson, who was also signed to 77 at the time). Oddly, even though Orange produced enough other material on him for Richbourg to fill a double CD (Geater Davis - The Lost Soul Man on the Australian AIM label), this would be his last release for either of John R's imprints. 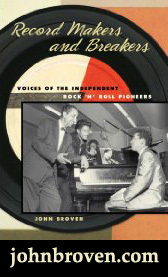 He told Living Blues: "John R is one of the best men I've ever met in the record business. The man helped me all he could... He was a good man, all the way, a good man... That's one of the worst blows I ever suffered, losing ties with John." "It was the best of times, it was the worst of times..."
1973 was a good year for John Richbourg's 77 label. As we mentioned last time, Geater Davis had charted for the label in July, as would the indomitable Ann Sexton with You're Gonna Miss Me that September. A local legend John had signed the year before would break into the R&B top 40 for him that same month. Earl Gaines came to Nashville from Alabama in the early fifties. After playing drums on Arthur Gunter's seminal Baby Let's Play House in 1955, he got a job as the lead vocalist with Louis Brooks and his Hi-Toppers. Together they would take It's Love Baby (24 Hours A Day) all the way to #2 R&B that summer (held back from the #1 slot by Fats Domino's Ain't It A Shame). 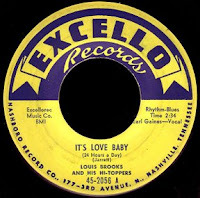 The record put Excello on the map, but when subsequent singles didn't do much, the label dropped him in 1962. After bouncing around to a couple of local labels, he started working with WLAC dee-jay Hoss Allen in 1964. Recording at Bradley's Barn with roughly the same crew that John R had been using for Sound Stage 7 (minus Allen Orange and Bob Wilson, of course) Hoss began to produce some sides that he shopped around to the record companies. A single, The Best Of Luck To You, was picked up by (of all people) Hanna-Barbera, and released on their HBR label in 1966. Although it would cruise to #28 R&B, the company decided to fold the label and concentrate more on the Jetsons and the Flintstones. Allen got Earl a deal with Starday-King, and despite quality releases on Hollywood and Deluxe (one of which, the MLK tribute Our Friend Is Gone, would feature our man Bob Wilson on the piano), Nothing much was happening with Earl's Career. A cover of The Mighty Hannibal's 1966 Vietnam hit, I like Earl's version better. When he exhorts those awesome background singers to 'Moan, Children! ', it's simply one of the greatest moments in Southern Soul history. Orange's great big production here is flawless, and Earl is just belting it out. A much better singer than Geater Davis ever was, Earl's energetic delivery takes the record to the next level. One of my all-time favorite J.R. Enterprises products! In August of 1973, WLAC made the decision to change formats. John R, after 26 years as one of the most influential figures in R&B, was sent packing. Although nobody knew it at the time, this single event may have done more to alter the landscape of southern soul music than anything else. Everything was about to change. This song is an absolute trip! Like Tony Joe White snuck into a Shirley Bassey session and just let loose, or something. Those strings, the background singers... I'm wondering if Allen didn't 'lease' this one from somewhere else. The record works, though, in a weird sort of way. 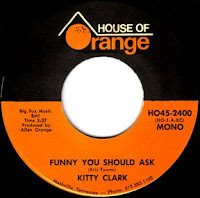 I have no clue who Kitty Clark might be... detectives? Thank You, Cies! Keep 'em coming! "...Alarm, the label they [Jerry Strickland and Bobby Patterson] owned with Stewart Madison... although cuts from this period were never issued in the US, several featured on a Japanese LP - "I'm A Losing Boy". This quite brilliant album also featured a few cuts Eddy [Giles] made for Allen Orange's House Of Orange concern around 1973-4, but which remained in the can as well." By 1974, John R's labels were in trouble. Not only had his immensely popular radio show provided a place for people to hear the music J.R. Enterprises was producing, it gave them a way to buy it. Just as he had been doing for years with Sound Stage 7, he sold his records through Ernie's Record Mart in ten packs, which offered the listener a chance to get a couple of hits, sandwiched around a few misses. They moved a lot of vinyl that way back then. Without that kind of mail-order business, everything kind of ground to a halt. The numbering system was changed in '74 to a '900' series, with records by Ann Sexton and Jackie Beavers starting things off. The friends John thought he had in radio failed to materialize and, despite any kind of promotion that Allen Orange might have been doing, nothing could make up for the loss of his audience. "Both Bobby King (77 #SP2120) and Sam Baker (77 # SP2134) had versions of this Allen Orange song released as A sides on Seventy Seven (& both had earlier been released on Sound Stage Seven). Its a good song & they are both decent versions, but anyone here know why these 2 labels would issue 2 versions of the same song close together -- it can't have made commercial sense." "Apparently, those releases are from just prior to John R having to declare bankruptcy in 1975, when the thought of paying for studio time was out of the question. He seemed to be mining the best of his under-rated SS7 material and re-releasing it, not only on 77, but on another of his labels, Sound Plus, and hoping that something, anything, might hit. were all Allen Orange compositions would tend to underscore that hypothesis, as he was, no matter what else he might have been, John's longest running partner in his 'J.R. Enterprises', and Richbourg always took care of his own." John sent along the Seventy Seven scans above (becoming an official detective in the process) - thanks, man! Without Fred Foster and Monument backing him up, without WLAC, John R just couldn't make it. There are those who place the blame with Allen Orange, who say that he was carelessly spending the promotional monies John gave him. While that may indeed be true, the eventual bankruptcy of J.R. Enterprises in 1975 had deeper roots than that. The whole game had changed by then... Stax would be belly up by the end of the year, and Fame had folded its house label the year before. Atlantic had moved on as had Sound Stage 7 itself... as corporate Disco came on, these were indeed dark days for the old time 'record men'. 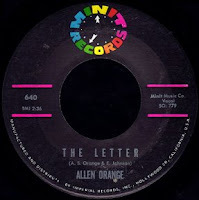 With nowhere to turn, Allen Orange re-activated his House Of Orange label for a release that's not listed in the R&B indies discography, or the Living Blues article. Here's what I think went down. 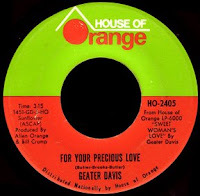 For Your Precious Love was a track on Geater Davis' 1971 LP Sweet Woman's Love, a cover of a 1958 Jerry Butler & The Impressions tune which Oscar Toney Jr. had taken into the R&B top 5 in 1967. On the album Davis is really going for it, with a mood-setting romantic rap that brings the song in at over eight minutes long. It would be edited down to 3:15 for its single release as HO 2405 that same year. In late 1974, the LP Al Geen Explores Your Mind was a huge seller. A track from that album, God Bless Our Love mined the same territory as Geater had done three years before, to say the least (some might even say it's a direct rip-off of the Butler composition). Anyway, the Al Green album cut was just HUGE on black radio stations down south, but Willie Mitchell refused to release it as a single. As we've seen over on the B side, the ever resorceful Senator Jones attempted to fill that need by bringing Charles Brimmer into the studio to cut his own brilliant cover version in early 1975. With an incredible 'love-rap' that spilled over onto the B side, the 45 would cruise to #43 R&B. Released as HO 2405 E in 1975, it's the exact same edit of the album cut that was released as HO 2405 back in 1971 (with the same B side, Wrapped Up In You). Small wonder they missed it on the discographies! In any event, the record didn't chart the second time around, either. Just as he had been when he left New Orleans all those years before, Allen Orange was out there on his own. 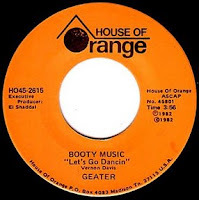 Anyway, after whatever it was that happened down in Nashville between Davis, Allen Orange and John R, Geater headed for Jackson, Mississipi and Johnny Vincent's Ace label. "I had been knowing Johnny ever since 1970, and he told me if I ever ran into trouble... he would help me because he had a studio," he told Living Blues. 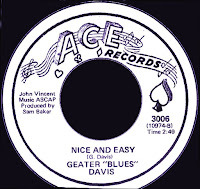 His 1974 single, Nice And Easy, was produced by good ol' Sam Baker, who had also left J.R. Enterprises under less than happy circumstances. Supposedly a great record, with a 'Tyrone Davis style' sound, it went nowhere fast. Johnny Vincent said, "It didn't sell a thousand, it didn't sell 500... it didn't sell 300" copies. Davis would record one more single for the label, the funkified Busting My Brain, which was co-produced by one 'J. Lancaster'. That one didn't sell either. 209 West Capitol in Jackson Mississippi was quite the place. Huey 'Piano" Smith came in and out from time to time. My original audition for Johnny was to record Sammy Meyers. I also recorded James Booker there... and many more. I recorded several of the House of Orange tracks... that Allen absconded with during the middle of the night without paying Johnny... Really made Johnny mad..."
"Geez, Johnny Vincent was so pissed at me, cause we all needed the pitiful amount of money... I think it was only like 300 bucks. It's one of those embarrassing moments in your life that you never forget. I really don't put any blame on Allen... It was my mistake." I'll Play The Blues For You (which, if you remember, Davis had made a demo on way before Albert King had even heard it), was recorded with a long spoken word intro in which Geater pleads his case against the dreaded Disco; "...I don't never want to forget my roots, and I'm saying this to all black people, the Blues is your roots, like it or not." Which is interesting, as the flip of that same record was actually called Disco Music. In any event, neither side of the record sold, and it would apparently mark Allen Orange's last foray into the music business. Geater Davis would go on to record with Jerry Puckett and James Bennett, producing several singles and an album on MT records before his sudden death of a heart attack in 1984. Now, when I first decided to focus on Allen Orange as the subject of case five here, my first question was, obviously, "What ever became of him?" I asked Bob Wilson, who had been supplying me with all this great information about those heady days in Nashville with Sound Stage 7. He told me that he had lost contact with Allen years ago, but that he would call up his friend Roscoe Shelton, as he would be sure to know... the only problem was that, unbeknownst to him, Roscoe had passed away in 2002. His widow told Bob that Allen had come to visit them some years back, but that she had no idea where to find him now. As the idea of a trip to Nashville began to take shape, both Bob and I viewed re-connecting with Allen down there as a top priority. 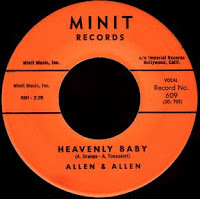 Billy Cox and his wife Brenda told us that they had last seen Allen back in 1986, when they spoke with him about getting back into 'the industry', and possibly starting their own label. At that time, they told us, Allen was working 'in the boiler room' at Vanderbilt University. It was Aaron who told us that, the last he heard, Allen Orange had gone to live with relatives in North Carolina... We did meet, all of us, for lunch at a Picadilly Cafeteria outside of Nashville. I really couldn't believe I was sitting there with these three men who had lived so much of this history, who were a part of so much great music... I can't thank all of you enough, man. "I saw him at the John L Glenn Residential Center in Nashville," he told me, "the date on my pictures CDR says July 2004, so I guess it would have been shortly before then. This was a place where he had his own room, and he came down to a communal sitting area where we chatted for about 2 hours. He seemed perfectly lucid & coherent at that time and was able to relay stories about his SS7 days... He was blind but said he could just make out shadows. He gave me his number for when I was next in town - but the next time I went it was out of service. I called the home, they said he had moved out to be with relatives but they were not allowed to tell me where he had gone. That was the end of my trail. Please feel free to use the attached picture in your blog." 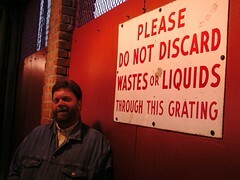 There you have it, Allen Orange in Nashville, 2004. 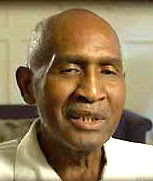 Mr. Allen J. Orange, 67, of 2004 Sunset Village Drive, Charlotte, died February 4, 2006. Memorial service is 2 PM Thursday at A. E. Grier Memorial Chapel. Grier Funeral Service is in charge of arrangements. Once again, detectives, we were a little late... May God Rest His Soul. Just yesterday, I spoke with Allen's son, DeMarcus in Charlotte and offered him our heartfelt condolences. He told me that his father's runaway diabetes had wreaked havoc on his system and that, in addition to losing his sight, his health had been deteriorating rapidly when he brought him to North Carolina to live with his family in 2005. It soon became apparent, however, that he required more care than he and his wife were able to provide, and so he went to live in a private nursing facility. "He didn't make a year, once he went there," he told me. His parents had split up back when he was only seven years old, DeMarcus said, and he had grown up in Charlotte with his mother. I think it says a lot that he was there to welcome his father home when he really needed him. DeMarcus has consented to share his family's story with us, and is going to try and piece together some photos and the like for us in the near future. "Just caught your post to the southern soul newsgroup and read the Detective page on Allen Orange. Excellent! Really entertaining!... If you still need them I'll dig out my very rare HOO 45s on Don Varner and Reuben Bell." 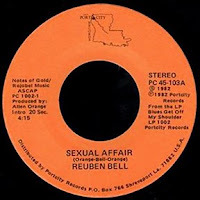 A native of Shreveport, Louisiana, Reuben Bell’s high tenor vocals were at their best, in my view, when extracting every ounce of emotion from those slow, often almost unbearably sad, ballads he specialised in. Some of his early work for Dee Marais on Murco, such as “It’s Not That Easy” and “You’re Gonna Miss Me” showed his talents in that direction. 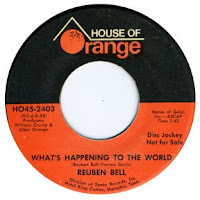 He recorded titles for Allen Orange in the 70s of which the unusual socially themed “What’s Happening To The World” may just be the best on House Of Orange although “I Can’t Feel This Way At Home” has its merits. Better in my view were the cuts that Orange leased to De Luxe. Both “All The Time” and “I Hear You Knocking” are really first class deep soul. 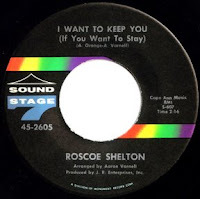 But his best work of all came for Alarm, where his interpretations of Danny White’s “Kiss Tomorrow Goodbye”, “One Sided Love Affair” and “I Still Have To Say Goodbye” were all quality southern soul. But his finest moments on wax came on “Asking For The Truth”, a wonderfully melodic Bobby Patterson/Jerry Strickland cheatin’ saga, on which Bell turned in a heartbreakingly intense performance. After a longish gap Bell resurfaced in 1982 with a first class LP on the tiny Port City label in Shreveport, from which 2 45s were lifted to heavy critical acclaim in Europe. Sadly Bell passed away, apparently in the direst poverty, not too long ago. Just an excellent song, huh? I think I'm inclined to go with John's assessment here of this being the best side to have been released on House of Orange. It's got this whole Curtis Mayfield kind of thing going on, both with Bell's excellent vocals and the topical subject matter (which, sadly, still rings true today). I love the reference to Kent State... Reuben and Geater made quite the songwriting team, didn't they? Check out this funky nugget! The band on here is just crankin' it out... I love those little guitar breaks - and the Hammond organ - yeah, man! I wonder if this was cut at Sound City with the African Music Machine? Once again, how could a song this good have gone un-noticed for so long? This is the first I'm hearing of Reuben's passing, how very sad that he never got the recognition he deserved. He was a great talent. 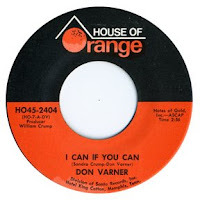 Following an initial 45 on the obscure Down Beat label Varner recorded several sessions in Alabama but only four 45s were issued on Quinvy, South Camp and Diamond. All excellent Muscle Shoals efforts of which “Tear Stained Face” is the best known. Several unissued cuts came out in the Charly UK series of LPs from that source. “I had met Allen (Orange) when he was a promo man for John Richbourg and he liked the things I was doing. I think because Allen would come in particularly from out of town was what made me sign with him. At the time he signed me, Brenda (Duff – Don’s wife at the time) Geater Davis and Reuben Bell. All of us were pretty good songwriters too so out of the four of us he thought he had a pretty good base. And what happened was they cut me and Geater Davis at the same time and Geater’s “Sweet Woman’s Love” just took off. I mean it took off like a bullet and overshadowed the two songs on me…. There were also two more songs on me that that I had cut for House Of Orange – “Take Good Care Of The Children” and “Set Me Free”. 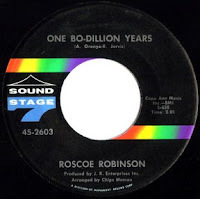 His final 45 was a self-produced effort on the tiny Roaring label in Los Angeles, to where he moved in the early 1970s. He made a welcome if entirely unexpected reappearance in 1985 at the Nice Jazz Festival as part of the Johnny Otis revue. Since then his entire output has been reissued on Shout UK CD RPMSH 290 Finally Got Over. Don Varner sadly passed on in 2002. Although somebody should have hidden the reverb unit from Crump and Orange, Sandra and Don came up with another great record. Varner's just laying it all out here... great guitar, and I'm loving those congas! Thank You Sir Shambling for sharing these ultra-rare slabs of vinyl with us all! 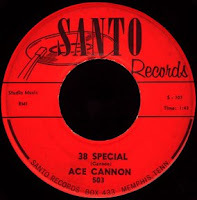 As we've discussed before, after Allen couldn't keep up with the demand for Geater Davis' big hit, he entered into a distribution agreement with Johnny Vincent, who was apparently running a Memphis label named Santo at the time. 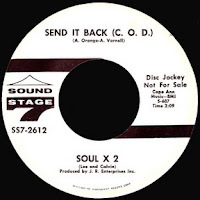 If you take a closer look at the label scans John sent us, both 2403 and 2404 read 'Division of Santo Records' (by 2406, Orange was hooked up in Philly). Well, I personally had never heard of this Santo label, much less seen one, until I got this 45 tucked into a bulk record buy I just made (thank you Double D!). I'm not sure of the vintage on this... it could be from before Ace stepped out from Bill Black's Combo as a front man, or after his run on Hi. In any event, I thought you'd like to check it out. ...even more international detective work is on the way, y'all. Don't touch that dial! OK folks, as promised we're back this time around with a few singles that come to us all the way from Rotterdam in The Netherlands! That's right, Cies, our man on the mainland recently came through with a CD of some THIRTY songs that were written by Allen Orange and ripped from his original 45s ... amazing! This kind of international collaboration is just so cool, and has gone way beyond the wildest expectations I had back when I started this whole thing up... I really can't thank you enough, man, this is great. Recorded at Bradley's Barn in Nashville, this one features Bob Wilson on both the piano and organ along with Billy Cox and the rest of the King Casuals session band that the label was using at the time. Roscoe Shelton, I think, was in many ways Allen's alter-ego, and the guy he chose to deliver this type of love-lorn ballad in lieu of himself. What a voice he had! 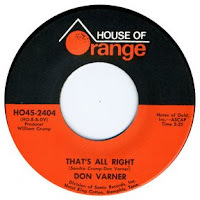 Orange's New Orleans roots are showing here, and I love the Aaron Varnell arrangement (he co-wrote the tune as well). You know, Varnell is turning out to be one of the secret heroes of this whole case. I mean, if he hadn't mentioned North Carolina back in June, we would never have gotten as far as we have... 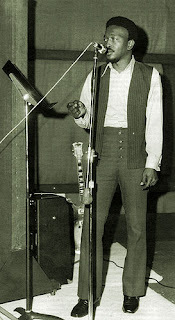 I just used this 1968 Fame Studio photograph in my Bowlegs Miller post over on The B Side. If you check it out, that's Rick Hall and Clarence Carter standing, with most of the 'Tell Mama' era Muscle Shoals horns - Miller, Joe Arnold and our man Aaron Varnell seated left to right. When you put that in perspective, and realize that when Richbourg made the move to Memphis, Varnell went straight to Fame, it gives you a deeper appreciation of these early Nashville records, in my opinion. 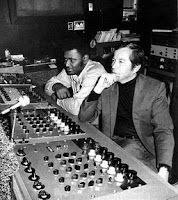 Recorded soon after John R started making the trip to American Studio, it was arranged by Chips Moman himself. Robinson's voice never fails to knock me out, and he sure delivers on this one! The 'Memphis Boys' are as tight as ever, and I love the fact that Bobby Womack's guitar is mixed way up front. Say amen, somebody! Another great tune from the pen of Allen Orange, it's songs like this that make you realize just how gifted a songwriter he really was. 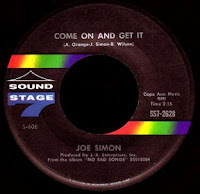 The B side of top ten R&B hit Yours Love, this would be the second to last 45 Simon would make for Sound Stage 7 before going to Spring. Look Out! The drums and bass on this record just kill me (according to Bob Wilson, that's Kenny Buttrey and Tim Drummond along with the rest of the 'Music City Four'), not to mention those Bergen White horns... this is the side that should have been the hit, right? Hot stuff, man! You know, I read in the Southern Soul Group recently that Simon has signed on to appear at Porretta next year... I imagine he'll be singing his 'secular' material. How great would it be if he was backed up by his original Nashville musicians? Now that would be something! Hope you've enjoyed these slabs of transatlantic vinyl as much as I have... more soon! Thanks again, Cies, you are a prince among men. Hey, everybody... not sure if you noticed this, but there's been some mention of Allen Orange in the Southern Soul Group recently (I hadn't actually noticed it myself, until ol' Cies pointed it out to me - thanks, brother!). "Betty Adams (Jewel Meriwether) issued 'Make It Real (Ride On)' in 1971 on Allen Orange's Notes of Gold label (0001). It was recorded in Cincinatti and produced by Betty's brother, Roy. 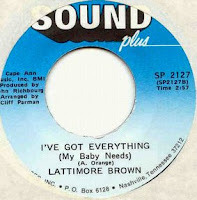 A second single was released soon after but but Betty turned her back on soul music and became an evangelist..."
Mooney, who worked at Grapevine for years, has recently opened a copyright management and licensing company called Millbrand along with its associated Selecta and Shotgun labels. We asked him to elaborate a bit on that, and he responded; "as far as I know, Allen Orange was the owner of (or a partner in) Notes of Gold Records and Notefiller Music... When Betty Adams leased her masters to Notes of Gold it was Allen she dealt with." 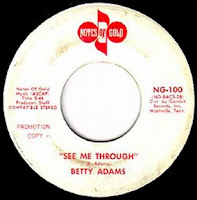 001 - Betty Adams - Make It Real (Ride On) / ? ...and possibly one LP release by the Meriwether Trio, all released in 1971. Pulled from Cies' Rotterdam vaults, this is one great record! I imagine that's brother Roy on the piano... check out that guitar, man! It's got this whole Gospel thing goin' on, I'm sure Betty had no problem stepping into the role of evangelist. Garry Cape reported in (on the SS Group), and said, "As regards Betty Adams, I met with her and her daughter last year in Atlanta on behalf of Millbrand. She's a very nice lady, now heavily involved in the church..." I wonder if she ever made any Gospel records... Cies? 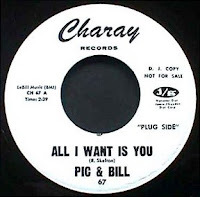 Billy Mills was one half of North Carolina 'soul duo' Pic & Bill (along with Charles Pickens), who had recorded for Major Bill Smith's Texas Charay label in the mid-sixties, before moving to Smash in 1969. A much sought after LP, 30 Minutes Of Soul appeared on a label called 12 O'Clock in the early seventies, followed by some singles for LeCam and Bandit on into the nineties. In 2002, an album called Taking Up The Slack showed they were still out there doing it to it. I have no idea how it is that Mills came to record for John R as a solo artist, but I'm sure glad he did. 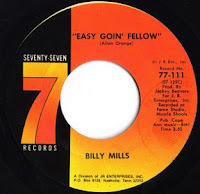 Originally cut by Roscoe Shelton in 1965 for Sound Stage 7, Billy takes this Allen Orange blues number to the next level... kinda reminds you of the Tan Canary, no? 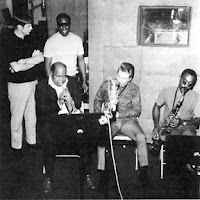 Recorded with the 'Fame Gang' in Muscle Shoals, I wonder if that's our man Aaron Varnell blowing that sax? Just as we've seen before with Willie Hobbs, Richbourg's producer on these Fame sides was none other than Jackey Beavers. 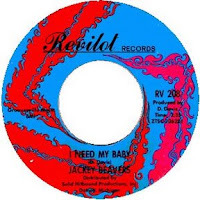 Beavers was in on the ground floor of Detroit Soul, recording with Johnny Bristol as 'Johnny & Jackey' on Anna, and later Tri-Phi for Gwen Gordy. After recording a song they wrote with Harvey Fuqua, Someday We'll Be Together, the duo split up, with Johnny taking his talents (and the song) to Motown. 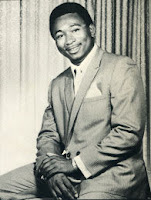 Beavers followed Billy Davis to Chess, where he had some moderate success with a couple of Checker singles in 1965, before moving back to Detroit and releasing a few records on small local labels like Revilot. By 1969, I imagine Jackey got the idea that Motown's ship had sailed without him and he signed on with John R in Nashville. He recorded five singles for Sound Stage 7 (including his own version of Someday We'll Be Together), before moving on to Seventy Seven as both an artist and producer. What a great song this is. Jackey apparently took its deep and inspirational message to heart, leaving the music industry behind him shortly after this to become a minister. He has been the pastor of the Glory Harvester Church in Cartersville, Georgia for over twenty years, and has recently been ordained a Bishop. He has written a book about his life called From Here To There and From There To Here, and is the creator of The Devil Stomp. You know, sometimes I'm not the sharpest tool in the shed, if you know what I mean. I was going through a few 45s over here... listening to a few records, and I noticed something. the publisher listed on virtually all of the House Of Orange releases (the ones that were written 'in house', anyway) is listed as 'Notes Of Gold'. Well, how do you like that? I never noticed that before... The Davis/Bell compositions that were released on Luna and 77 were published by Notes Of Gold as well. Now, a search of the ASCAP database yielded no results for Davis, Bell, or Notes Of Gold. 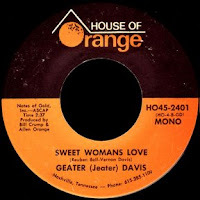 I figured I'd try a 'search by title', and looked up 'Sweet Woman's Love'. Sure enough, it was on there. Under Publishers/Administrators it said: ' Please contact ASCAP clearance representative for other publisher information'. So I did. In an exchange that must be all too familiar to guys like Paul Mooney at Millbrand, I was told that the publisher had 'terminated', and was last listed as 'National Tapes and Promotions' with a Nashville address. They were unable to tell me how long ago they had 'terminated'. A web search for the company took me to a place called the Harry Fox Agency, an outfit that is attempting to update the contact information for hundreds of other defunct publishers like Notes Of Gold/National Tapes. What a tangled web we weave. Alright folks, I'm back with some pretty big news! "Just a note to tell you that I recently concluded an agreement to obtain exclusive rights to the catalogues of House of Orange, Notes of Gold and Note Filler from the estate of Allen J Orange (deceased). The catalogues include rights to classic songs by Allen Orange, Vernon Davis, Reuben Bell, William Crump, Don Varner and others. This deal had been in negotation for a while but I couldn't mention it until the agreement had been confirmed. It's likely that some House of Orange product will be issued early next. Any help you can give regarding information, images, memorabillia etc. will be welcomed and very much appreciated..."
That is very welcome news, indeed, and I'm certainly looking forward to any 'product' that might be released as a result of that deal. I'm glad that our efforts here at soul detective helped to make that happen. Thank you one and all. I hope they re-issue the Reuben Bell stuff straightaway. Ever since Sir Shambling sent along those tracks, they've been rattling around in my brain. Are they great, or what? As he said, they represent the best that the House Of Orange label had to offer. Another movin' and groovin' cheatin' number from the pen of Bell and Geater Davis, this one, once again, puts me in mind of 'The Chokin' Kind'... great bass line, huh? Reuben's vocals, as always, are right on the money. Definitely R&B chart material that seems to have suffered from the label's chronic lack of distribution. Thank you, Cies, for providing us with this one. This song, as promised, has indeed 'stood'. 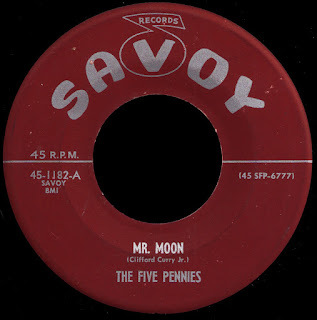 It was first released as Minit 632 in late 1961, and made it to #61 on the pop charts. As The Showmen went on to become hugely popular on the 'beach music' scene in South Carolina, it was released again, as Imperial 66033, in the summer of 1964, this time climbing to #80 on the Hot 100. According to the label scans I glommed off of eBay here at left, Norman Johnson is listed as the songwriter on both releases (as I'm sure you know, Norman 'General' Johnson is the guy who would go on to form The Chairman Of The Board). I'm not sure why Orange is listed on the BMI pages... unless it's another song entirely. In any event, the body of work that Allen Orange left behind will now, most assuredly, stand. I'd like to thank him for that. Alright everybody, we've had some important contributions here on Case Five over the last couple of months, and I just wanted to bring you all up to date. As Travis said, this song "seems to be elusive in its natural habitat," and I agree. In all this time I've never seen the original 45 show up on eBay even once. He ripped it for us instead from a 1986 EMI Minit Compilation LP. That's fine by me, brother... thanks, and welcome aboard! According to the label, it was co-written by Orange and 'C.Toussaint'... I'm guessing that Toussaint was using his son's name here (Clarence Reginald), just as he was doing with his mother's (Naomi Neville), around the same time for whatever contractual reason. A solid chunk of a Popeye record, it was Orange's second to last release for the label. "It is the very same track, same instruments, all, but remixed with different voices. It is a quarter tone higher than Paul Vann's, which was cut in E, but Earl's is in F. So, either the machines were set up differently (inadvertently) or Allen speeded it up just a little. Also, the mastering job was better, cooler. "That is me, Drummond, Karl on Drums, Buttrey on Congas and Percussion and Mac Gayden and Troy Seals on Guitars. Mac is doing the driving groove on the bass notes on the Les Paul (fatter), while Troy is playing the chink guitar on the Fender Tele (thinner). That is my arrangement on the rhythm track and Terry Burnside's arrangement on the horns and strings. Terry also played Tenor Sax on the horn track. "A real cool thing, nobody ever got Earl to sing like that except Allen. It shows how cool Allen really was. When I produced Earl, John Richbourg, did 'not' want me to do anything wild with Earl, he wanted a Motown type cut, that he could get to crossover to the Pop stations with that Kristoferson song that he (John) had picked out. John wanted Earl singing more mellow. He wanted another Joe [Simon]. "Me, I liked both approaches by Earl, but, man-o-man, Earl sure is exciting singing like that..."
"Mac told me that Allen was instrumental in breaking "Everlasting Love", Robert Knight, in Philadelphia, which was the first big urban market it hit into. Mac had been trying to promote it himself and when he got it to make some noise in Chattanooga, he then convinced the label (Monument - Fred Foster) to push it and they turned Allen Orange loose on it and Allen made it start to happen, then it took off. Mac told me he will always owe Allen for that." "Melvin Cohea, pictured with Allen Orange and Johnny Vincent, is Orange's nephew and worked with, or for, Orange. Don't know what became of him... I had encountered Davis at a club in Fayette, Miss., in 1981 where Little Milton was playing. Davis was in the front of the club, asking to do a few of his songs with Little Milton's band. I remembered him from John R's shows on WLAC and I introduced myself, which led to an interview and story in the Jackson Daily News." Awesome, Jeff. Thank you so much for everything, this case really wouldn't have amounted to much without your superb piece on Davis. I can't help but wonder, though, did Little Milton let Geater play that night or not? Yet another new gumshoe on the job here is Peter McKernan, who came through with a truckload of music for us last month (he's the guy that sent in the great Sam Hutchins AGP single that's up on The A Side as we speak). 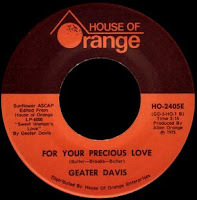 As you may know, we've been looking for the full 8:36 LP version of Geater's 'For Your Precious Love' for ages... well, the wait is over! Not only did Peter come up with the song, but he ripped us the whole album! Thank you, brother, it is MUCH appreciated. The uncut version here is just so mint... you can catch a glimpse of what Davis' stage show must have been like, as he is just testifying, man. I wonder why he didn't want them to play 'Midnight Mover' anymore? I stand by my theory about Orange re-releasing the single in 1975 to try and cash in on the 'God Bless Our Love' craze. It's virtually the same song. Booty Music "Let's Go Dancin"
Wow! 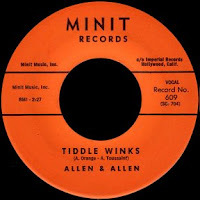 Not only is this 45 absent from both the House Of Orange and Geater Davis discographies, it also extends Allen's tenure as a label owner and producer by a full three years! Way to go, Peter! Released in 1982, it's an unashamed stab at the disco market... one that, apparently, never caught on. I'm not sure if it was a re-issue (was there really a 1976 version as well? ), or if we just got the year and the catalogue number wrong initially. Interestingly, the 'executive producer' is listed as El Shaddal, an ancient Biblical term meaning God Almighty. Even He couldn't save this record, I'm afraid. I was outbid on that too. Looking at the credits here on the back, it was recorded both in Shreveport and Nashville and released in 1983. The executive producer this time around is someone named Roy Mahoney (a step down from El Shaddal, I imagine). There's also a version of 'Precious Love' which, judging by the composers, is the same Jerry Butler number Geater covered on his LP. Do any of you guys have this record? I'd love to hear that! Thank you again one and all for all of your hard work and contributions. It's the teamwork that keeps this whole thing fun. 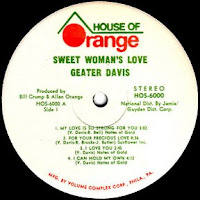 Love the site... you may be coming to this, but I have a few Allen Orange-related 70s 45s by Geater Davis on the House of Orange label - surely an imprint of the man himself!? AMAZING site, i check it almost daily for the sides and stories you put up. This morning i've finally been jolted into leaving a message - Reuben Bell, one of my all-time-favorite artists mentioned on your site! 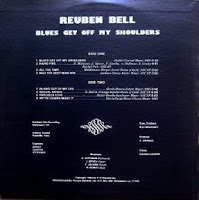 Could you maybe put Reuben Bell up for a B-side spotlight? Seems like you'd REALLY dig his stuff: lotsa beautiful southern soul songs with an almost swamp pop ballad style, funky numbers, his "asking for the truth" was a Wardell Quezergue production and featured on the same comp cd as the King Floyd "handle with care", etc. Almost all his early songs for Murco (except for one B-side) and 2 of his songs for Deluxe have been on Ace/Kent cds but his later music - his House Of Orange and Alarm 45's and his Port City LP - have never gotten a proper re-issuing and are just begging for further exploration. His songs for the Ace/Kent "Shreveport Southern Soul : The Murco Story" were the highlight of the CD but the notes on him in the booklet were really brief. It'd be great to hear info or stories from the recording sessions etc, and if anyone can find that stuff out it's you. It's crazy though the way everything interconnects, as you've talked about before. 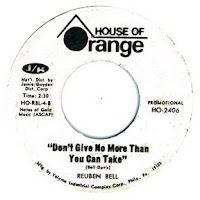 I've been eagerly following this Allen Orange story along and at the same time had all Ella Washington's Sound Stage 7 stuff and Reuben's House Of Orange singles but didnt make the connections until i saw the scans for their records. 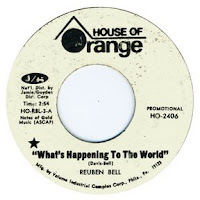 If my computer werent all screwed up right now i'd post/send you those Reuben Bell songs right now. Anyway thanks again for one of the best soul sites online. First off, thank you for the warm words about the site... we're all in this together, bro! Now, I'd just LOVE to do something on Reuben, but all I have is a hopelessly off-center pressing of ALARM 107... and it kills me, because the INCREDIBLE 'Asking For The Truth' actually is a B side! sorry i haven't gotten back to you sooner, been away for a month without internet access. been a lot of fun today catching up on what you've added in the last 4 weeks. as always fantastic work. Another wicked post. Have just started my own blog Suspect Beat Digging I would love to know what you think. I stumbled across this when looking around for info abt Reuben Bell. 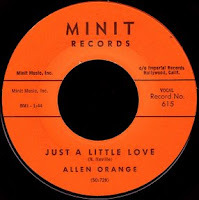 But...referring back to your original post, and the Allen Orange "MINIT 630 - When You're Lonely / True Love Never Dies" record... I have a Minit compilation LP from the 80s that has the B-side on it. If you're still looking for that track, I'll rip it for you. Thanks for checking out ol' SD - I'd LOVE a copy of the Allen Orange record, as I have yet to turn up the 45 anywhere! If you send it to me, I'll put it up... the 'case' is never closed! Just discovered this site. Great stuff! 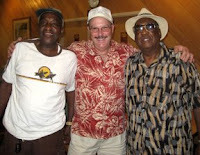 Melvin Cohea, pictured with Allen Orange and Johnny Vincent, is Orange's nephew and worked with, or for, Orange. Don't know what became of him. 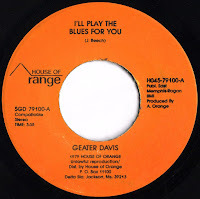 I wrote the article on Geater Davis that appeared in Juke Blues magazine a few years back. I had encountered Davis at a club in Fayette, Miss., in 1981 where Little Milton was playing. Davis was in the front of the club, asking to do a few of his songs with Little Milton's band. I remembered him from John R's shows on WLAC and I introduced myself, which led to an interview and story in the Jackson Daily News. Impressive the way even the most obscure names can be traced. 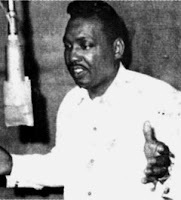 In 1957 JIMMY GAVIN cut a great single called I SIT IN MY WINDOW,a song also recorded by the 4 Fellows who can be found on the Doo Wop Shop site and whose song Soldier Boy was also recorded in 1960 by Elvis for the first post Army album. 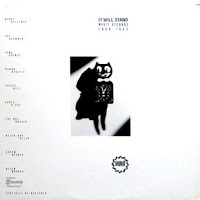 The song had covers by the Crewcuts and somebody called Russ Miller and at least 2 of these versions were issued in the U K.
Having used the BMI database quite a bit, I would say that the listing of two separate "It Will Stand"s means that the two titles are different songs. If they were the same song, the artists would be listed as co-writers. 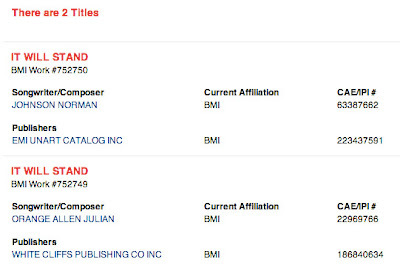 That said, it is certainly odd that two guys on the same label would be the ONLY two guys in the BMI database to have written a song with that title. It certainly sounds like there may be a little more to the story. I met Alan Orange while recording Terry Smith for John Richburg on Monument Records (1976) Her record "Daisy May and Daisy May Not" went to #10 in Cashbox and Billboard the same week. Alan was working with John R. then. I have not seen him since, but he made a lasting impression on me. He was producing some country music with my secretary. I wish I could see him again. I would like to apologize for giving a negative opinion of the recording session. Your mission, should you decide to accept it, is to join me in my quest to find out as much as possible about these all but forgotten artists. 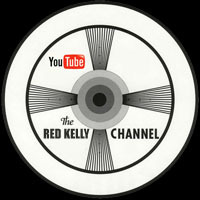 Copyright © 2005, 2006, 2007, 2008, 2009, 2010, 2011, 2012, 2013 by red kelly. all rights reserved. like that.